Water lovers who can’t get enough of the amazing wildlife and scenery that the Southern Outer Banks coastal region has to offer can book a cruise or tour with the educational, engaging, and downright fun Waterbug Tours. This homegrown Beaufort tour company takes passengers on easy-going explorations of the historic waterfront which venture from Taylor’s Creek to the great beyond, and present stunning on-the-water vistas along the way. The cruises are spearheaded by Captain Bob, who has been operating Waterbug Tours since 2003, and who is a retired US Navy captain with a full knowledge of the area. Visitors will be transported to a scenic world of open waters via a 16-passenger vessel complete with a covered top and cushioned seating, making it easy to relax and enjoy the fresh salt air. The narrated expeditions include Wild Horse, Nature & History Cruises, which veer along the Rachel Carson Reserve, and romantic Sunset Cruises which showcase the downtown area in its most beautifully subtle light. 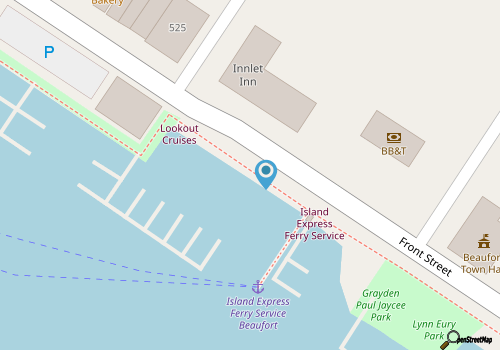 Tours last just an hour or so, and depart from the central Downtown Beaufort docks, which make them easily accessible for all area visitors. From cool cruises to romantic outings, everyone will find something to love about the region, thanks to Waterbug Tours. Call 252-342-3577 for current hours.